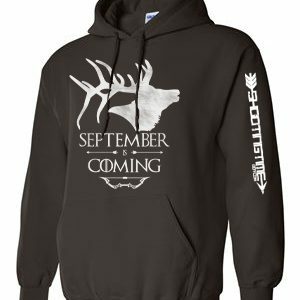 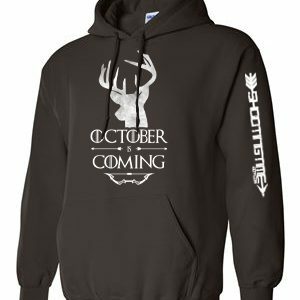 Drum up some hunting season excitement with this Game of Thrones inspired deer season t-shirt! 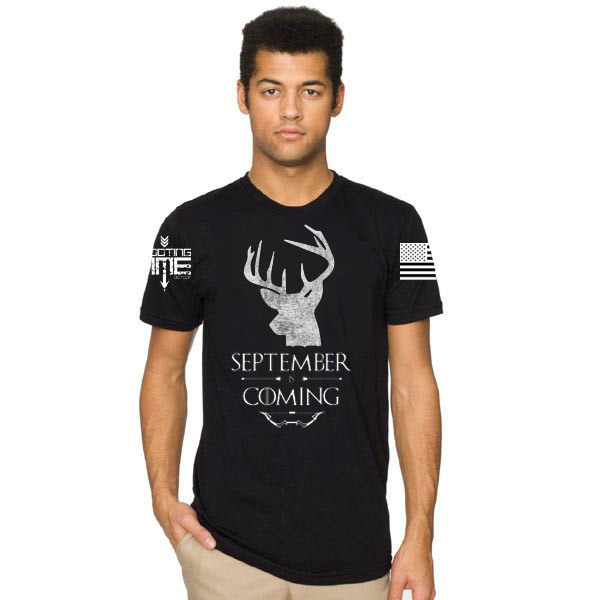 This Gildan Ultra-Cotton T-Shirt is very comfortable and proudly displays “September is Coming” design on the chest as well as the shootingtime.com logo and the American flag on the sleeves. 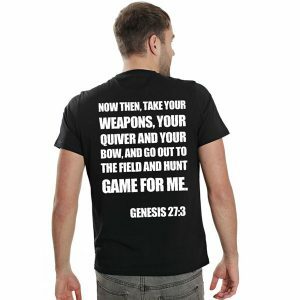 The shirts are 100% cotton so allow for a little shrinking.